Cycling for Weight Loss | Cycling Events and Sportives | Bostin' Ride Online booking for our 2019 events are now OPEN! Enter online now! Whether you get out on the bike every now and then, routinely every weekend, or perhaps you are just online looking for the best way to lose some weight, cycling is one of the best ways to lose weight and keep it off for the long-term. Of course, it goes without saying that you need to eat well in order to lose weight. However, if you want a relatively inexpensive and fun way to lose weight, then you need to think about getting on your bike, and fast! Many of you might think that running is the best exercise for burning calories. Depending on the intensity, that could be true. However, the problem many people have with running is the impact, and the long-term effects of this impact on their knees, calves, ankles, and feet. As a result of this, injuries with running are commonplace, and the heavier you are, the more at risk of injury you will be. In contrast, Cycling is low impact, while still being a highly effective type of CV exercise. This means you will burn calories while strengthening your muscles at the same time. The more strength you have in your muscles, the more calories you will be able to burn. 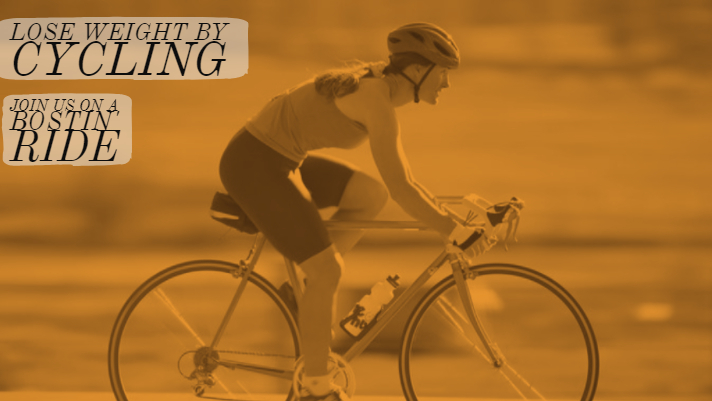 If you are trying to shift that stubborn belly fat that is so easy to collect, cycling is a great way to do this. Even though your legs will be working a lot harder than your stomach, because cycling is aerobic in its nature, this means that you will burn fat when cycling. By doing some interval training sessions on your bike, which is basically going flat out for a period of time, resting, then going flat out again; and repeating this. Not only does this help you to burn through a load of calories, but it also boosts your metabolism as well, meaning that for the 12 hours following your cycling, but you will also burn off even more than usual. There has been a lot of research into the psychology of exercise which demonstrates that people who exercise only because they feel like they have to, give up quickly once they become bored. Riding a bike is fun, you get to see new places, you’re out in the fresh air, you meet fellow cyclists who can become friends and you can cycle anywhere you want to to do or see anything you want – the world can be your oyster. The term ‘enjoy the ride’ rings true for so many cyclists. In terms of finding the right type of exercise for your body, cycling is fast becoming one of the best types of exercise for those looking to lose weight because it is kind to the joints and a relatively low-impact exercise. If you have Arthritis or any only muscular-skeletal condition, cycling is a great form of exercise that will look after your joints while helping you to burn off calories. There is a new buzz word going around right now, and that’s all about having an ‘accountability partner.’ Social support, which is essentially having a cycle buddy, will increase the chances that you will stick to your regime. Consistency is key if you want to lose weight. If you don’t have a cycle buddy, then joining a local cycling sportive is a great way to meet like-minded people and take part in a group cycling challenge. Dress appropriately – Layer up! With the season of Sportive’s in the Bostin’ Ride Calendar now underway, you can look forward to getting started and riding one of these organised cycling events will the assurance that you have a great bunch of people around you and all the support you could need.